The kids get excited over seeing a rainbow appear outside as well as on our walls when the sunlight shines through the window. So I thought since it's almost Spring and St. Patty's Day is coming up, what better craft than a lucky rainbow? 1. 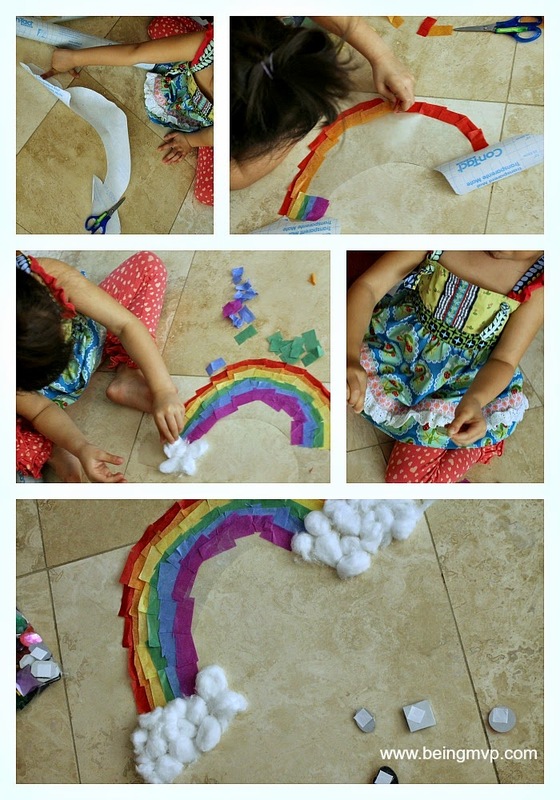 Cut the contact paper in the rough shape of a rainbow with clouds. It doesn't have to be perfect as you can always trim. 2. Cut the tissue paper squares in half. 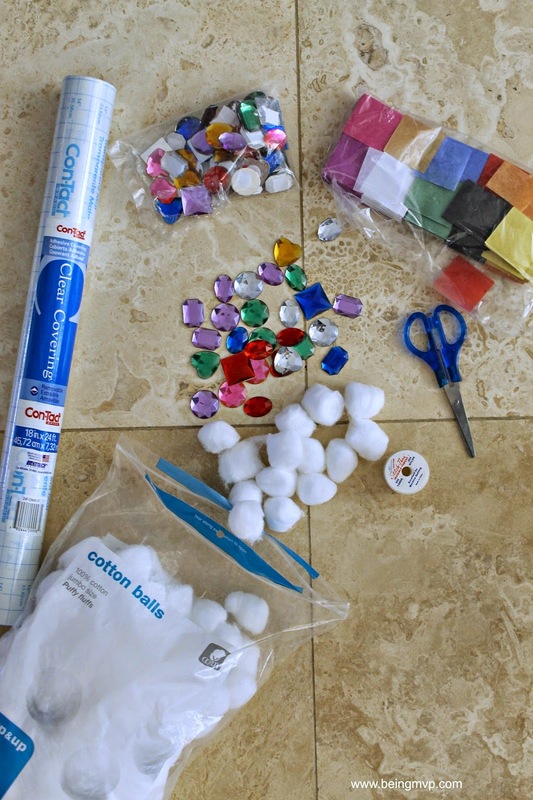 Peel off contact paper backing for the rainbow part only and start layering on the tissue paper. 3. Peel off backing for cloud area and stick on cotton balls. 4. Select a few of the adhesive jewels that you want to hang. Cut various lengths of the invisible thread. Attach one side of thread to the gemstone (you can just lift the sticker backing and then replace over the thread) and the other side right underneath the rainbow (using a small piece of contact paper or tape). 5. 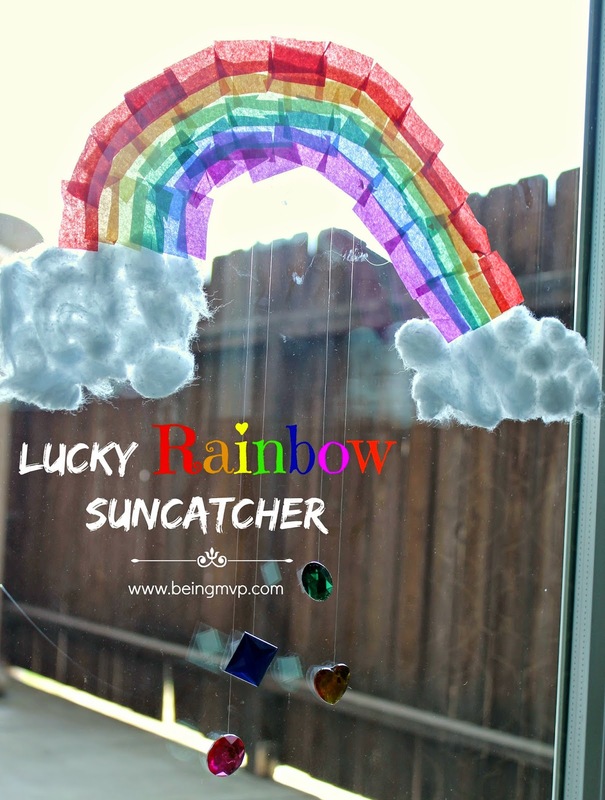 Tape to your window and watch the sun shine through your Lucky Rainbow Suncatcher! 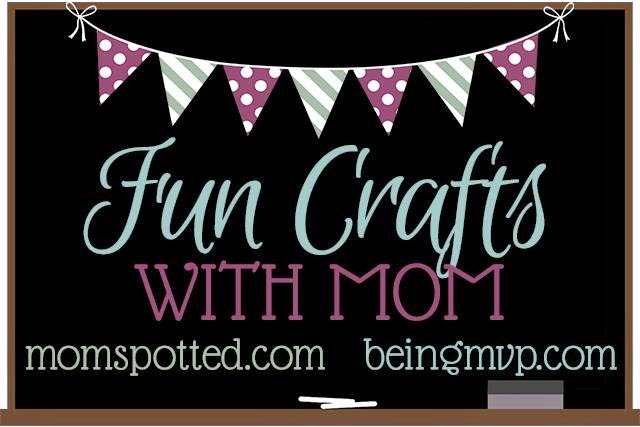 Check out the Popsicle Stick Puzzle Magnets from MomSpotted this week. I hope you enjoy and link up your craft! What a fun and super cute craft idea! I will have to do this with my grandson. What a fun craft! I love the idea of hanging jewels- we have the perfect spot in our house for them to catch some sun. Thanks for sharing this! 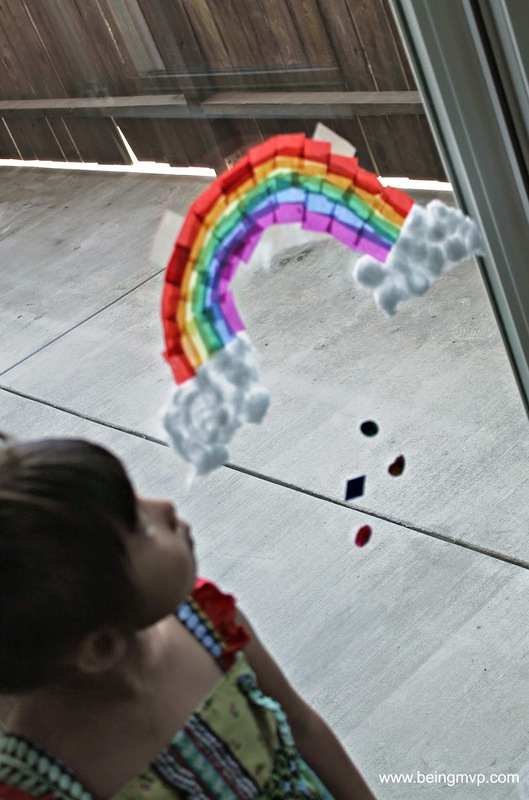 This is a fun adorable craft to make and your Rainbow Sun catcher sure turned out great! I would love to have one of these on my window for Spring! This is so cute! Just in time too. What a cute idea! My grandson made a rainbow out of froot loops at school and just thought that was the neatest thing! oh wow, this is sooo cute! I love this idea and it is something I wouldn't mind having as decor!!! I think that is really adorable! I love that it truly does catch the sun. It would make a great rainy day activity to wait for the sun to come back out! Omgosh!! How pretty!! My son and I are making this right away!! With it being -5 outside I need some rainbow in my life lol! !